Welcome to A Cat Hospital. 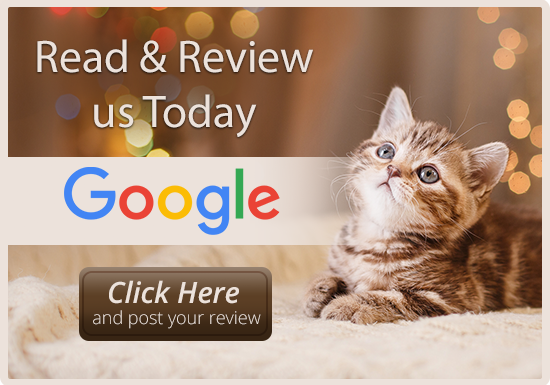 If you live in Henderson or the surrounding Las Vegas areas in Nevada, then you have chosen the perfect place for your cat veterinarian. Since 1986 our Las Vegas cat clinic has held the honor of being the first cats-only veterinary facility in Nevada. Dr. Trish Auge and Dr. Heather Zamzow are licensed veterinarians with special feline experience and the expertise to provide quality and experienced health care for your cats. A Cat Hospital is a full service animal hospital for feline emergencies as well as less urgent medical services, surgical procedures, dental care and cleanings, plus vaccinations and examinations. In addition to offering knowledgeable and skilled cat care, we make our our Las Vegas cat clinic comfortable, accessible to the whole family, and a soothing environment where your cat can feel at ease, while being cared for by our cat loving doctors and feline friendly team members. Our entire team is experienced in diagnosing and treating all types of conditions and health care from newborn kittens to senior care. We are proud to be a scruff-free hospital and cat whis-purr-ers! 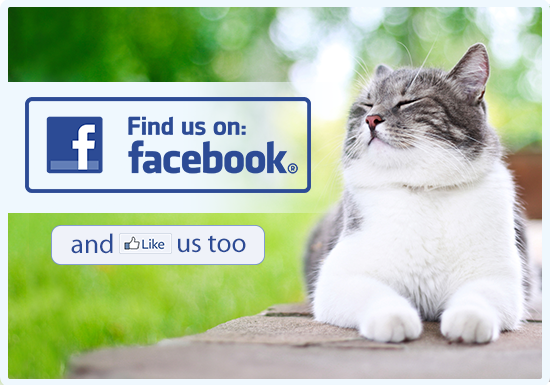 Everything we do at our Las Vegas cat veterinarian facility is carefully designed to keep your cat happy and healthy. During your initial appointment at our cat clinic, our cat veterinarian will conduct a thorough examination of your feline companion and provide any needed cat vaccinations. 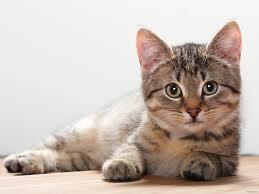 We also recommend to spay and neuter to prevent unwanted pregnancies and protect the future health of your cat. Yearly wellness examinations should include cat dental check-ups and updates on all necessary cat vaccinations. We can offer advice on behavioral issues such as aggression, shyness and litter box aversion. As your cat ages we are careful to conduct evaluations for diabetes and hyperthyroidism, and will help you deal with senior cat care aging issues like arthritis. Should your cat ever become ill or injured, our facility is fully equipped with diagnostic and treatment capabilities. We offer digital x-ray services, internal medicine, on-site lab facilities and ultrasounds to assist in the diagnostic process. If cat surgery is required, our cat veterinarian will often use laser surgery to reduce pain and speed healing. We offer grooming services to keep your cat looking handsome or beautiful. 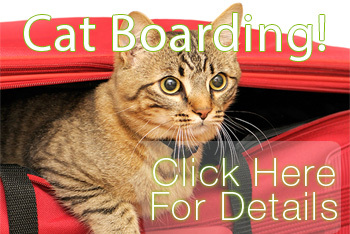 Our cat boarding facility is here to keep your cat comfortable and cuddled while you're away. We also offer a full line of cat pet products at our clinic so you won't have to travel far to find just the right cat care necessities. Our special cat care products include shampoos and conditioners, medications, cat foods, grooming brushes and cat foods. 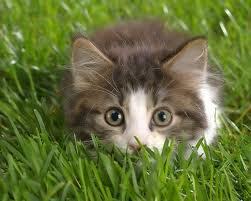 Make an appointment to see the Las Vegas cat veterinarians that are focused on your cat's needs. A Cat Hospital, we treat your cats like the valued family members they are. Check Out Our Latest Cat BLOG! Dr. Trish is a native of St. Paul, Minnesota. She had always wanted to be a veterinarian since she was a small girl. Her original goal was to be a 'doggy doctor' but that was modified by observing that cats showed more stress around dogs in the veterinary hospitals. Dr. Heather Goldsboro, now Dr. Zamzow, grew up in sunny California and loved the sunshine. When it came time for college, her family was moving to a much cooler climate, Boston. She decided to attend college at Boston University where she earned her bachelor's degree. Bring your Lil kitty here, i don't even live close but i only come here. I've been a customer for about 5 years now and never once had a complaint, they are very caring people. And they def. Work with you, great place... Thank you. Do yourself a favor and start taking your kitty to A Cat Hospital. I don't have kids, so some call me the "crazy cat lady". I take pride in that name, because my cat has been my baby. I absolutely feel that Iris and I got the best care possible. The entire staff was very compassionate to our needs and treated my cat just like it was their own baby. Dr. Lesley Zamora is who I was lucky enough to build a relationship with. She's simply the best!!! I wish I had been to this place sooner. really like how they the rooms are catered for cats. Each doctor I've met are very good with cats. I strongly recommend that people bring their cats here! You guys are amazing!! Such a night and day experience from our last vet. Our older kitty came home from surgery on Saturday afternoon and was already purring and back to her normal self by Sunday morning. I'm amazed! The last time she had this surgery it was months before we got her back on her feet. I can't thank you all enough. The staff is amazingly sweet and caring, and the whole feel of the practice is wonderful. The rooms are ideal for cats, with the cat trees and no metal tables. I'm never going anywhere else, you've spoiled me! Was introduced to this place from a former friend. needless to say between my cats and fostering of others I LOVE THIS PLACE. they are the most concerned vets and staff and since they specialize in cats it gives me great comfort knowing when I bring my kittehs here they are receiving tlc by knowledgeable and well trained people. i recommend all my friends to this place all the time and take all my cats here because there is no other like it in Las Vegas period. I found this cat vet place when I first moved to Vegas back in 1999. This clinic has taken care and boarded Stinky. The best clinic for our pet cats.